"It's not the usual thing to happen while on guard,” said Lance Corporal Edden. 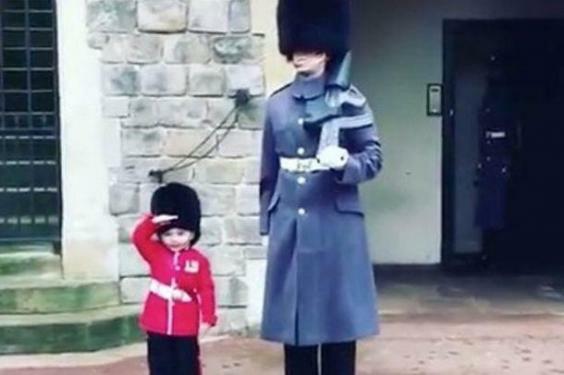 He added: “Usually I would just take the guardsmen in the guardroom as normal - but my wife and I are expecting a baby boy, and I remembered standing at Edinburgh Castle when I was younger hoping to get a picture with a soldier. Marshall’s mother, Imogen, said Marshall was left “in absolute awe”. The video, which filmed by Joanna Feng, was shared online by Charanpreet Siingh, by one of the Guards involved. It has been watched by millions people.